Bobby interviews Elizabeth Crispina Johnson, the author of the new Ancient Faith Publishing children's book The Miracle of the Red Egg. Bobby Maddex interviews Dr. David Frost, the Principal and Administrator of the Institute for Orthodox Christian Studies in Cambridge, England, about some of the institute's new offerings and developments. 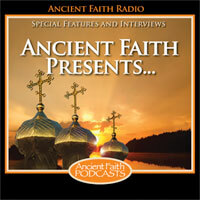 Bobby Maddex interviews Fr. John Parsells, the man behind both Orthodox Web Solutions and Orthodox 360.